The spa is set in the lush tropical greenery of Demspey Hill with several restaurants, cafes and galleries in the vicinity to enjoy an entire day out relaxing, indulging and pampering yourself. The interior of the spa is elegant and sophisticated, with charming wall and ceiling paintings, luxury sofas and chairs to relax on, heavy curtain and extravagant decor. 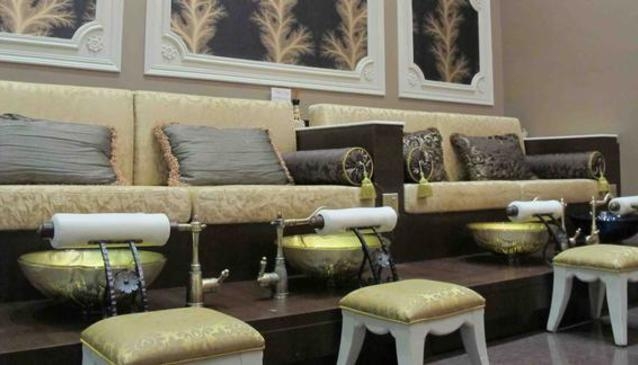 The first family nail Spa in Asia, Nail's D'vine offers pedicures and manicures that include massages, skin exfoliation, moisturising mask treatment, cuticle removal and nail conditioning.Complete your session with an invigorating buff and pretty nail polish. The experience at Nail's Divine is not limited to its nail spa, you can also treat yourself to a therapeutic massages and facials by well trained therapists. The staff is friendly and attentive, yet discreet to ensure your relaxing comfort.